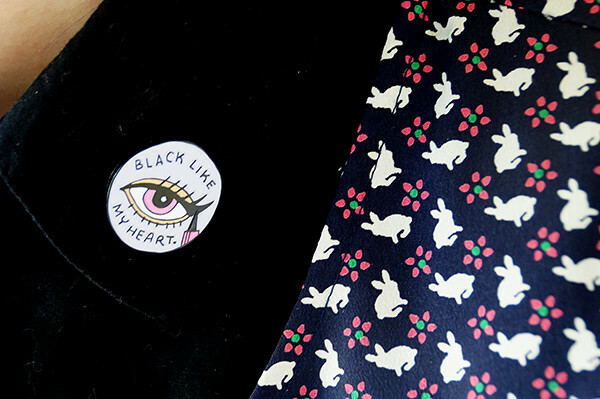 Tulle & Combat Boots: bunnies & pins. 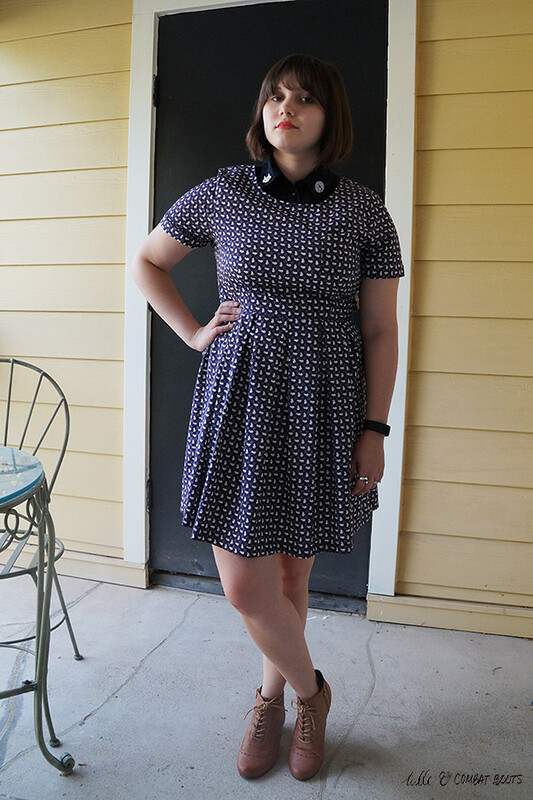 I hadn't worn this bunny dress in a while, and I'd figure I would try it out with a collar. 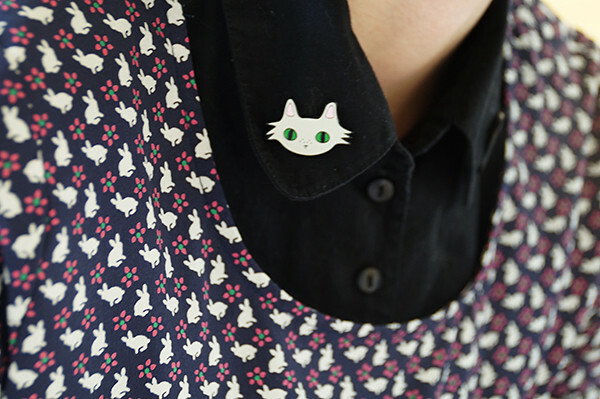 I love wearing these little pieces of artwork that make people take a closer look—and mixing cats with every other print possible. 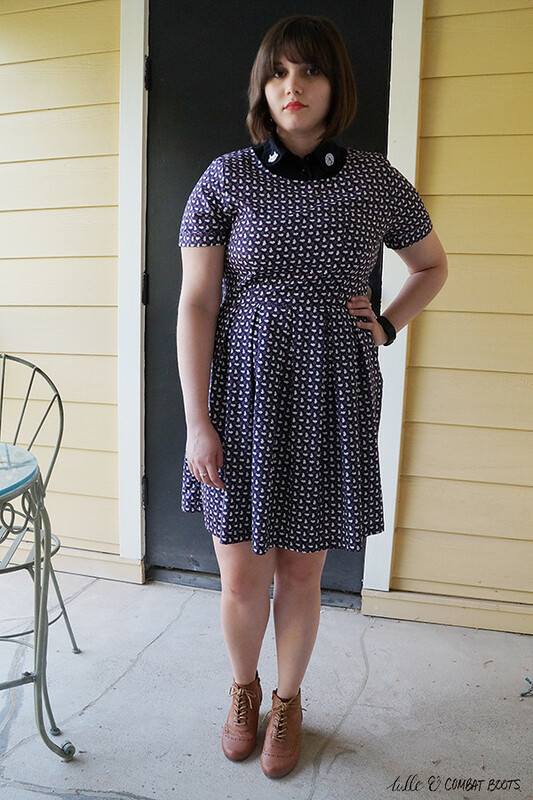 Also, if you want to support real artists (and not the rip-offs Zara has been peddling), check out Shop Art Theft.